One of my favourite things about Once Upon A Time is how it brought many of my favourite fairy tale characters to life, showing a previously unseen side. I couldn't choose between the Storybrook and Enchanted Forest sides of the characters so I included both (where they existed!) 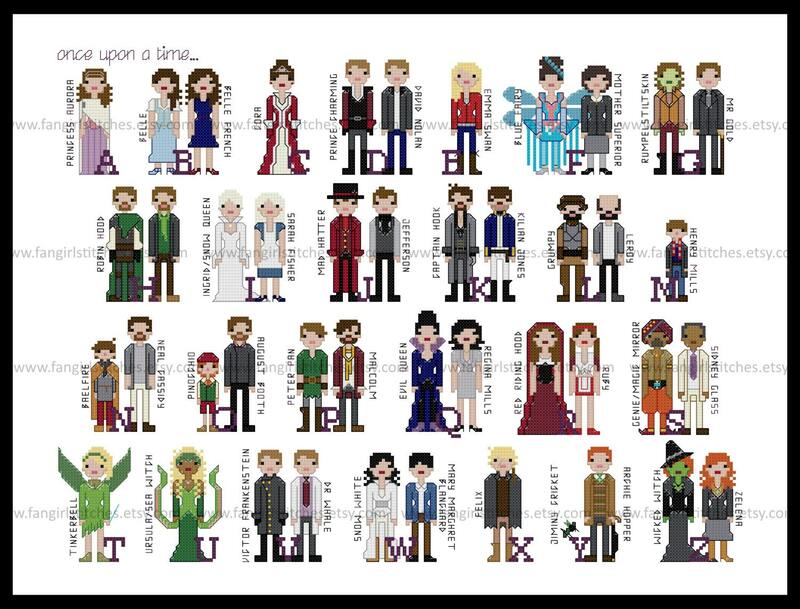 in this Once Upon A Time Alphabet cross stitch pattern. This design features whole stitches, backstitch, fractional stitchs and French knot. It’s suitable for intermediate stitchers. The pattern comes with two charts - a colour chart, and a chart emphasising the backstitch lines. The floss chart is DMC and Anchor, although of course you can adapt it to suit your preferred brand of threads (or whatever scraps you have on hand! ).